BRS Bulk Bioballs are made of high density polypropylene and are used for filtration. Pegged surface has tons of surface area for the growth of bacteria. Promotes gas exchange and increases oxygen level in your tank. Will not clog with organic matter. Safe for use in fresh or saltwater aquariums. I got these to test a theory about using the Bioballs to help cycle the tank. I set up two 30 gallon tanks identical setups since I running two new freshwater tanks. I am using a aquatop 400 canister with 2 1unit chem-pure as my carbon in the second stage and bioballs in my third. The second setup has the chem-pure in the second stage but only has the white padding in it. I did add a bottle of bacteria to help with the cycling but after a week the tank with the bioballs has completely cycled as for the tank with out is still ever so slowly cycling. Since then I have no spikes in any of my parameters and wish I would have found these little buggers early. This is a great product....great surface area for bacteria to thrive. What is the total surface area per bioball? 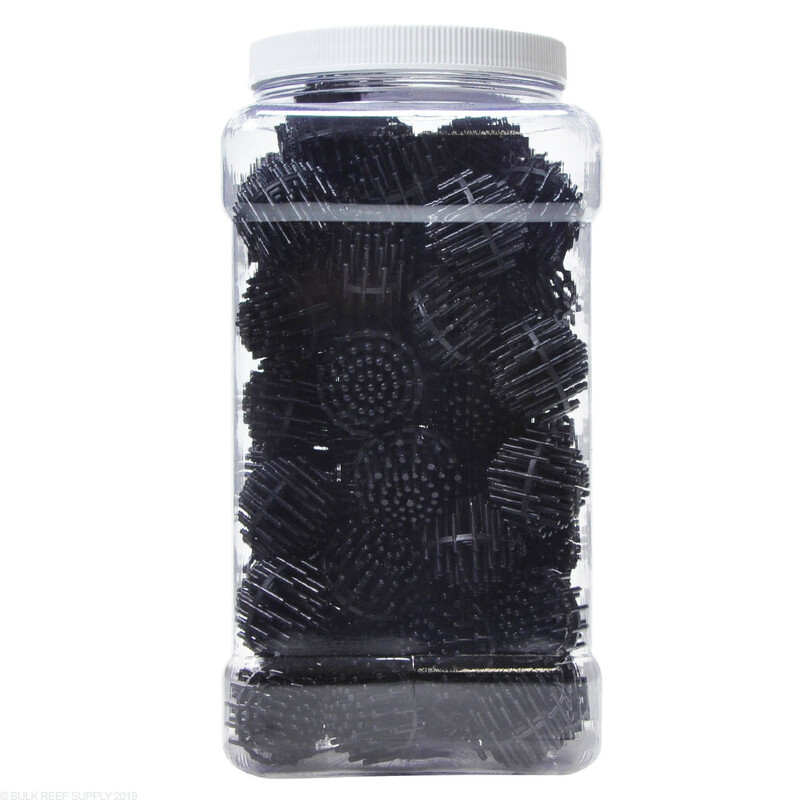 The results will vary on the bio-balls however these will have approximately 22.73 inches per ball. Feel free to let us know if you have any further questions! 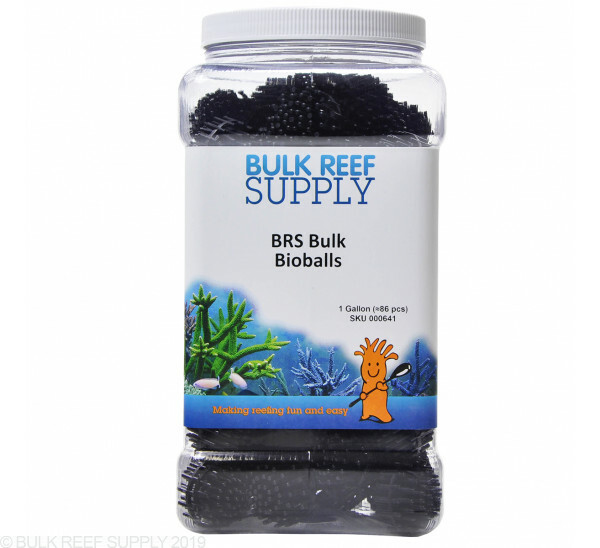 Do you recommend using bio balls or marinepure ceramic biomedia? Or do they have completely separate functions. Marinepure and bioballs will both serve the purpose of providing surface area for beneficial bacteria, and placed in a high flow area of your sump or system will efficiently process ammonia and nitrite. Marinepure has significantly more surface area than bioballs, so you can generally use less volume of media and take up less space in your system. These will float if simply placed in water. Their original intended use is for a wet dry trickle filter. Feel free to let us know if you have any further questions!